The Colorado Rockies enter 2018 with one huge question mark: who will be the starting first baseman? With youngsters like Ryan McMahon, and grizzled veterans like Ian Desmond in the mix, just figuring out which puzzle piece goes where will be one of the Rockies’ early spring training goals. MLB.com’s Thomas Harding joined Eric Goodman and Les Shapiro of Mile High Sports AM 1340 | FM 104.7 to discuss the versatile Desmond and the slugging McMahon. 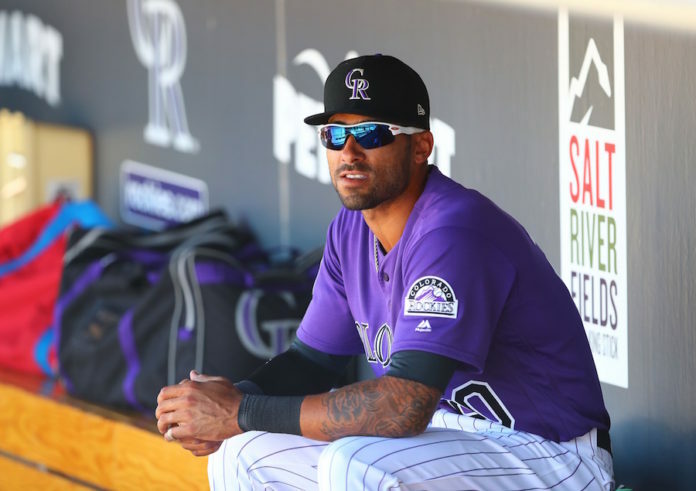 “When the [Rockies] signed [Desmond] and they talked about him playing first base, a couple of things that came to mind when I saw that, because I looked at the future of this team and it looked like a Ryan McMahon could develop at that position, which would free up Ian Desmond to go back to the outfield,” Harding said. Desmond’s downfall in 2017 was clearly his health. The now ten-year veteran couldn’t stay healthy last year, only appearing in 95 games in 2017. Harding discussed how health might be the most important factor in Desmond’s 2018 season. 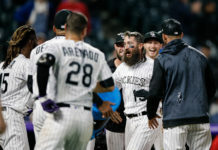 “What I want to see is for him to be healthy and see what he produces at Coors Field, I mean, by all rights last year, he should have been the starting first baseman, but he got hit by a pitch in March and did not show up for a couple months, and I think that really put him behind the eight-ball,” Harding said. Thomas also made his prediction for Opening Day, saying Desmond will be the man, at first. Click here to listen to the full interview with Thomas Harding, including what he had to say about the Rockies’ off-season, including their signings and more, or listen to the podcast below.